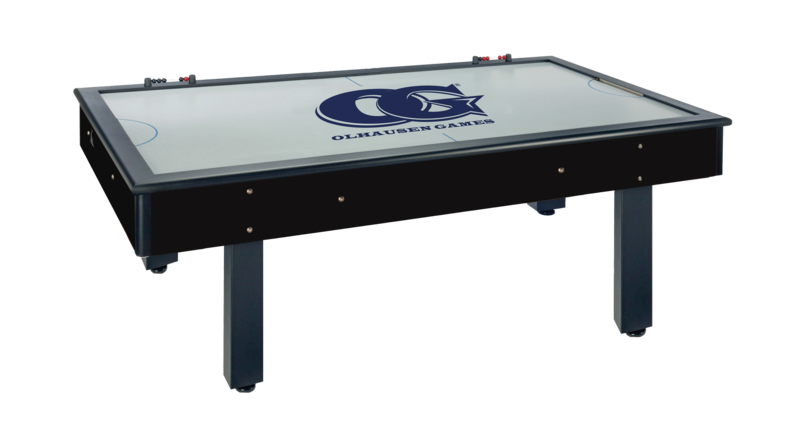 The Pro Series Air Hockey table features a powerful 210 CFM Commercial motor, high-pressure laminate playfield, 1" thick cabinet walls, 10" aprons and solid steel 6"x 4" legs with levelers. The Pro Series is sure to keep even the most serious player happy. 88"L x 48"W x 31"H and weighs 310 pounds. The Pro Series is a seriously beefy air hockey table sure to stand up to years of use. Traditional Mahogany cabinet looks wonderful in any room, while the powerful motor keeps the pucks flying. The Pro Series is a great table to get the kids started on and to keep any advanced players happy with commercial-grade quality in a furniture-grade look.